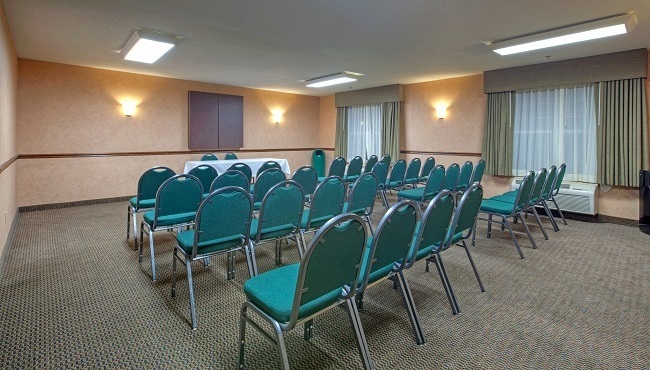 Host a family reunion, an anniversary celebration or a strategy session for up to 40 guests in the flexible meeting facilities at the Country Inn & Suites, Waterloo, IA. Spread out in 600 square feet of space and take advantage of audiovisual equipment and free Wi-Fi to showcase informative slideshows and presentations. If you’re planning a formal reception or banquet, personal touches like table linens are available upon request.